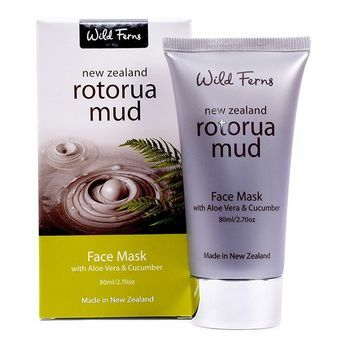 This is a re-energizing, peelable facial mask containing pure mineral rich geothermal mud from Rotorua which is extremely therapeutic, as well as detoxifying and purifying. It is also blended with Aloe Vera which has soothing, healing properties, which assist the cell renewal processes and Cucumber which has a mild astringent effect to refine skin texture. This combination gently penetrates the skin's outermost layers to lift away impurities and dead skin cells. The result is a refreshed, revived complexion with restored tone and elasticity.